Brother and Sister's visit to Gran and Gramp's house takes an unexpected turn when they help clean up the attic and discover a dusty old family album. With Gramps, they look through old photos of Papa and Mama and learn fun, interesting stories about their family history. 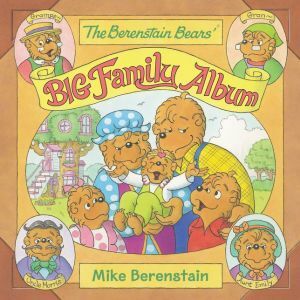 The Berenstain Bears' Big Family Album is the latest 8x8 storybook addition to the classic New York Times bestselling series.